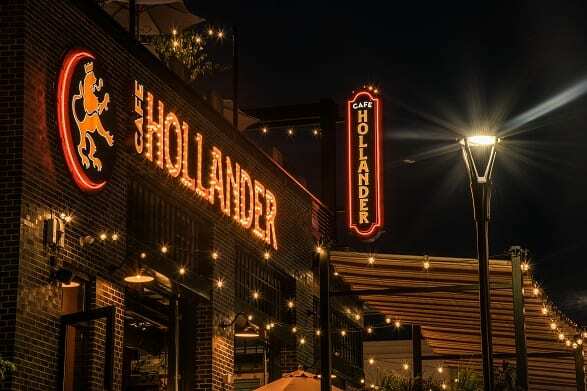 The newest Cafe Hollander is located in Brookfield, Wisconsin. It features a rooftop deck and lounge, a patio at street level and overhead doors to open up the restaurant on warm days. The location is a new mall called the Corners of Brookfield, a 750,000-square-foot premier lifestyle center. The Lowland Group’s (owners of the café) primary goal was to maintain the branding they’ve established over the years. 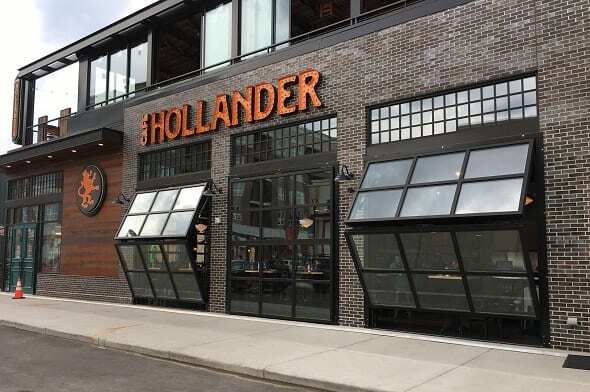 We’ve worked on a number of projects with the restaurant group dating back to the early 2000’s, including the original Café Hollander, which was built in 2006. 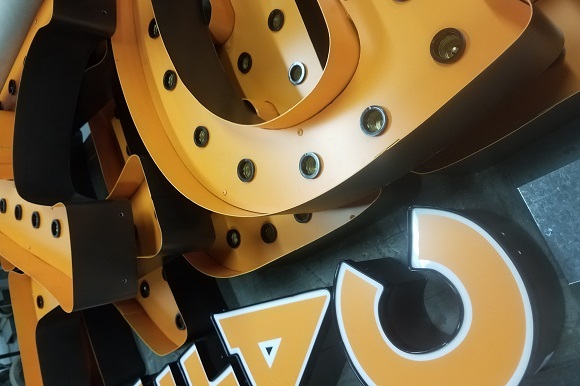 To accomplish their goal, we worked with them on coming up with a complete sign package that included a circular building sign, a marquee sign, channel letters and a roof top sign. Check out the Sign Effectz blog article for more details on this project.